Sixteen-year-old Noa has been a victim of the system ever since her parents died. Now living off the grid and trusting no one, she uses her computer-hacking skills to stay safely anonymous and alone. But when she wakes up on a table in an empty warehouse with an IV in her arm and no memory of how she got there, Noa starts to wish she had someone on her side. Enter Peter Gregory. A rich kid and the leader of a hacker alliance, Peter needs people with Noa's talents on his team. Especially after a shady corporation threatens his life. But what Noa and Peter don't realize is that Noa holds the key to a terrible secret, and there are those who'd stop at nothing to silence her for good. Filled with action, suspense, and romance, this first book in a new trilogy offers readers nonstop thrills. The blurb on this book likens it to Girl With the Dragon Tattoo for teens, there are definitely elements of it in this book, but it also really reminds me of a book called Being by Kevin Brooks. 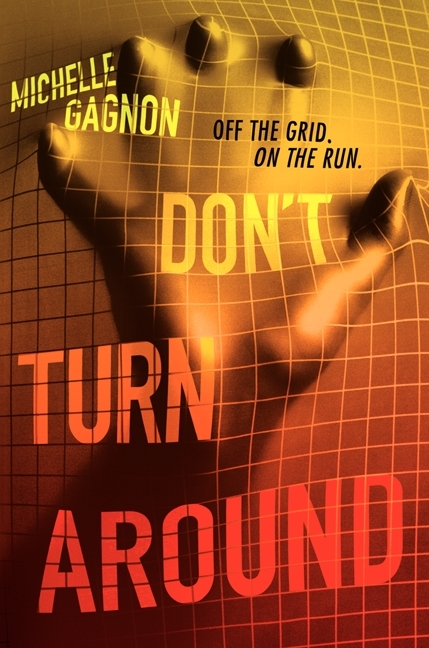 As I was reading I also found the style similar to that of the adult author Harlan Coban, when I read the author info I found out that Michelle Gagnon is a well known adult writer, so that explains the more adult feel of the book. Saying that, it is absolutely a teenage fiction title, a really good thriller which we are seeing more and more of in the YA world. Noa is used to waking up in strange places, she is now 16, but has been in and out of foster homes and institutions since her parents died when she was three. This time is different, she has a good place to live, a job and the start of a decent life, so when she wakes up in a makeshift hospital, with no memory of how she got there Noa realises she is in trouble. At the time Noa is waking up hooked up to an IV, Peter is snooping around his Dad’s office, looking a little closer than he should at some secure files. Within minutes his front door is being broken down, by armed thugs, the laptop is taken and he is warned not to call the police, and tell his parents that Mason says hello. As the story unfolds the two characters find that both incidents are linked to the same story, and now using their talents as hackers, and Noa’s skills at staying off the radar the two try to figure out what is going on. Their search reveals that someone is researching the deadly PEMA virus (a fictitious disease), and according to the stolen files, and the fact that Noa has undergone some kind of surgery, she is a big part of the research, and those involved will get her back no matter the cost! I loved this book, I would say that’s partly to do with the fact that my reading diet this year has consisted of children’s and teen books, so when I get a book that feels like it could be for ‘grown-ups’, I feel it’s a little guilty pleasure. It’s story will appeal to both boys and girls which is good, and it’s fast paced and action packed, so it should appeal to the more reluctant readers too. There are also going to be two more books in the series, so keep your eyes peeled for those.